If you’re facing DUI or DWI charges, you’ll certainly want to make sure that you’re being represented by a reliable and experienced attorney. You'll also want to make sure that there are no surprises when you get the bill. In order to make a good decision, you’ll need to conduct a useful interview. The following are a list of questions to ask a DUI / DWI attorney that you are considering hiring. How much experience do you have as a DUI / DWI attorney? In addition to confirming that the attorney is licensed to practice law in your state, you'll also want to hear about how long he or she has been performing relevant DUI / DWI defense work. It's not impolite to confirm licensing requirements. If you feel awkward, you can always ask the attorney which states he or she is currently licensed to practice law, which should answer your question. Licensing status is usually made available online via a state government or state court website. For example, you can search for license status at the New York Unified Court System Attorney Search and at the New Jersey Courts Attorney Index. What percentage of your legal practice consists of DUI / DWI defense? Attorneys typically possess a general knowledge about the law and legal system. But in order to excel in specialized areas such as drunk driving and DUI / DWI cases, specific knowledge and experience are highly recommended. The law, courts, court procedures and judges who hear cases can vary greatly between different types of legal issues. You probably not want to put your faith in a personal injury lawyer who primarily handles civil lawsuits and occasionally defends a drunk driver in criminal court. It's similar to asking an eye doctor for help with a broken bone. These follow-up questions can also help you ascertain relevant work experience. How many years have you been practicing DUI / DWI law? How many DUI / DWI cases have you handled? Have you handled cases similar to mine and what were the outcomes? You may also want to ask about expert witnesses to see whether they are needed and what they may cost. Active DUI / DWI attorneys should be able to rattle off a list experts they have used in the past without much effort. What are the fees, costs and coverage of your legal services? In general, DUI / DWI attorneys will charge clients in two different types of fee arrangements: (1) an hourly fee, and (2) a flat fee or flat rate retainer. 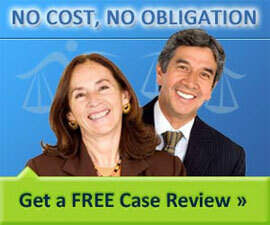 With hourly fees, an attorney will charge you for all the time spent that is spent on a case. This may include the time spent discussing your night drinking at the bar, the review by staff of a sobriety test performed by police officers, filing motions in court as well as time spent in court. A flat rate retainer will usually cover all the basic costs of representation, including the court appearance. It usually does not cover the cost of any appeal that might be recommended. Before signing a retainer agreement, you'll want to have a ballpark number of what your case is expected to cost. Who will be performing the work on my case? Law firms can comprise of several different types of people. They will frequently include legal support staff, interns, junior and senior attorneys (or "associates") as well as partners in a law firm. You will want to understand who is expected to be performing the work on your case, how it is delegated and how it will be billed. You may want to confirm that the attorney you’re hiring and in whom you’re placing your faith will also be representing you in court. What are the law firm’s client communication policies? One of the most common client complaints is that an attorney or law firm doesn’t communicate with them promptly and properly set expectations. You should inquire about the firm’s policies regarding case updates as well as whether there are hours which you can contact the firm to get answers to your questions. Criminal matters can also involve after hours incidents and emergency calls. You may want to know how the attorney can be contacted on a night or a weekend to get you out of jail. Will you meet with me in jail? If you have been incarcerated, many criminal attorneys are amenable to meeting with you in jail. It's generally the nature of the business. If your attorney won’t meet with you in jail, you may wish to consider how much of a priority you are as a client. Can you tell me about the judge assigned to my DUI / DWI case? Attorneys who practice regularly in a specific court should be familiar with the judges who are assigned to cases. Your attorney should be able to inform you of the differences between judges and how they manage a trial and handle sentencing. Those who don’t have much to say probably haven’t spent much time in the local courtroom where your hearing will be held. At this point, you should be able to feel reasonably assured that you can make an educated decision about whether to hire a particular DUI / DWI attorney. It's no different than interviewing a doctor, surgeon or contractor whom you're considering hiring to perform important work on your behalf. Good results are usually directly dependent on good screening techniques. Is biking while intoxicated a DUI or DWI offense? This article covers the differences in state law and treatment of riding a bicycle while drunk.